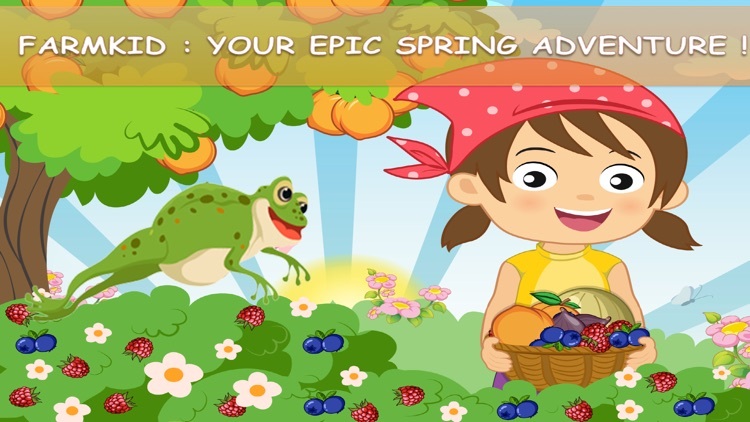 Welcome in your Farmkid: Epic spring adventure shop and farm game. Kids love to play in familiar places like shop and picnic. Here you are kids : let’s play "Farmkid: Epic spring adventure shop and farm game". 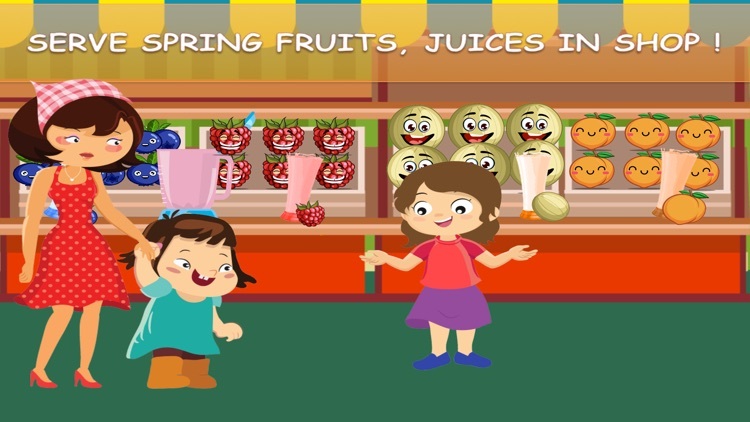 Kids have fun get in fruit shop discovering spring fruits, then buying them or asking for spring juice. Indeed kids meet and serve many customers like family members in spring fruit juice shop : mother, father, sister, brother, baby sister, grand mother and grand father. 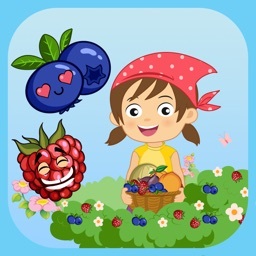 In shop, drag and drop spring fruits to your customers from farmville fruits shop. In shop, prepare spring fruits juice for family members your customers. When clients require more and you do not have fruits in storage : let’s go in Garden ! It means you collect in each fruits’ crops enough fresh produce fruits like Figs, Blueberries, Raspberries, Peaches, Melons. Then come back from garden to deliver your clients in fruit shop. 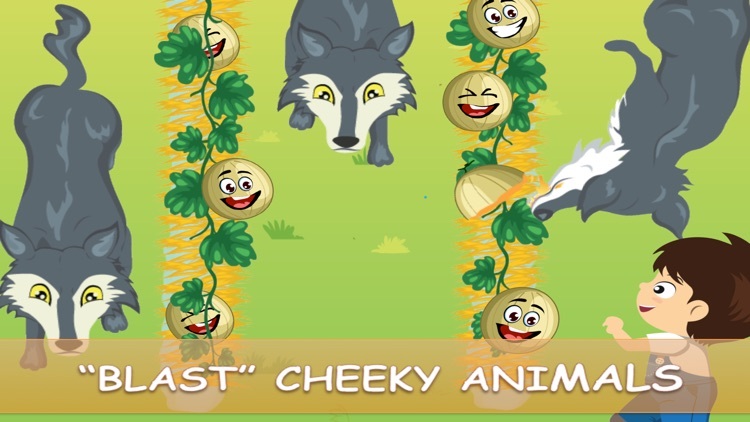 Watch out some cheeky animals will disturb your picking mission in crops. 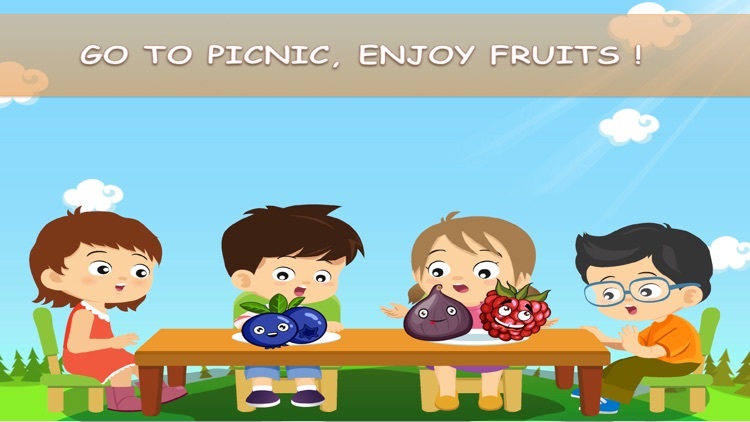 Kids have fun in an other famous place like in "picnic game" : many friends are chattering and ordering fruits as dessert. Young learners have to remember the needs of their friends and click on the right ones. 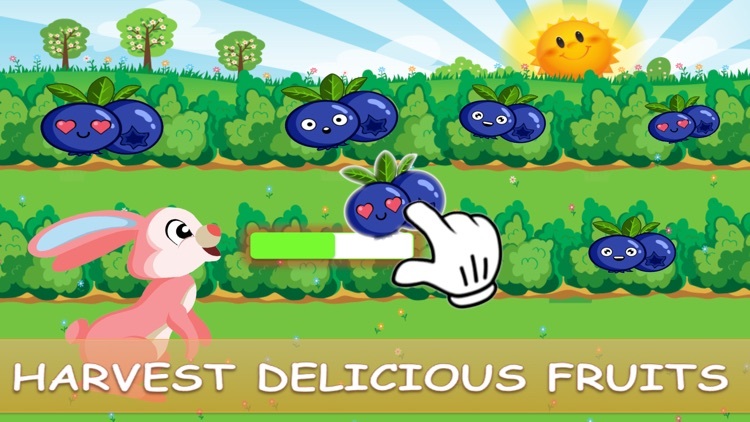 See how "Picnic farming game improves kids’ memory. Make tones of fruits juice in fruits shop. Provide the right fruit of spring season to your customers family members. Learn how to manage your store : sell fruits, earn coins, collect fruits in crops, use water, straw as natural fertilizers, come back sooner to serve customers. 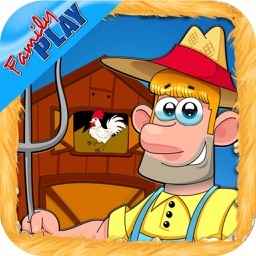 What are you improving playing “Farmkid: Epic spring adventure shop and farm game” ? 4 main skills are improving. Nature smart is improving : 5 spring fruits to play with in fruit shop, in picnic and garden areas. Use water, straw to care about the crops. Number smart : learn how to count quantities of spring fruits needed by clients. Word smart : learn the name the spring fruits in the world of farming game. 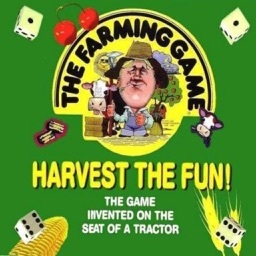 "Farmkid: Epic spring adventure shop and farm game" is a family game, friends game. It’s useful in kindergarten class activities improving nature smart. Some Teacher from tpt, use it as teaching tool kit. You may Find it in CN TV cartoon soon. So go on friends and families, get inside that funny world of farming. 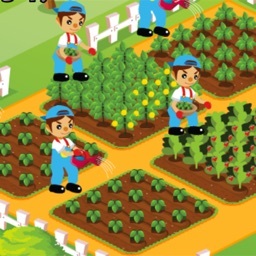 Improve each skill and harvest many spring fruits as farmers boys and farmers girls. Good luck in your tiny Township ! 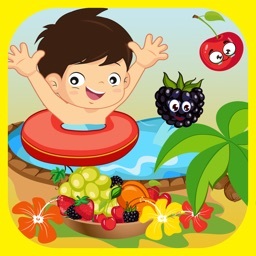 “Farmkid: Epic spring adventure shop and farm game” has been developed by My Famous soft Ltd Company : we are dedicated to funny educational games for kids and families. We offer entertainment educational games help young learners improving skills. Many thanks for your support ! 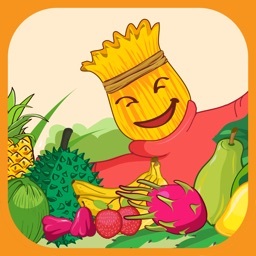 Feel free to review your game “Farmkid: Epic spring adventure shop and farm game” !